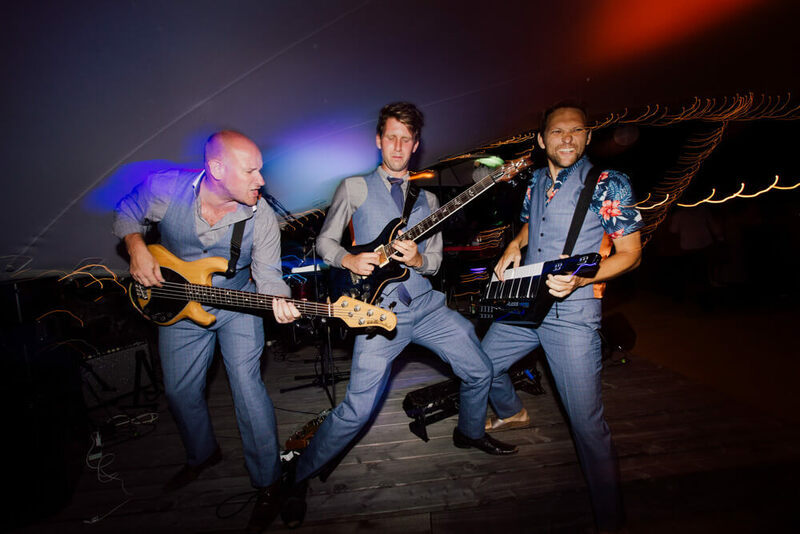 It’s not everyday you stumble across an inspiring wedding venue completely by accident. 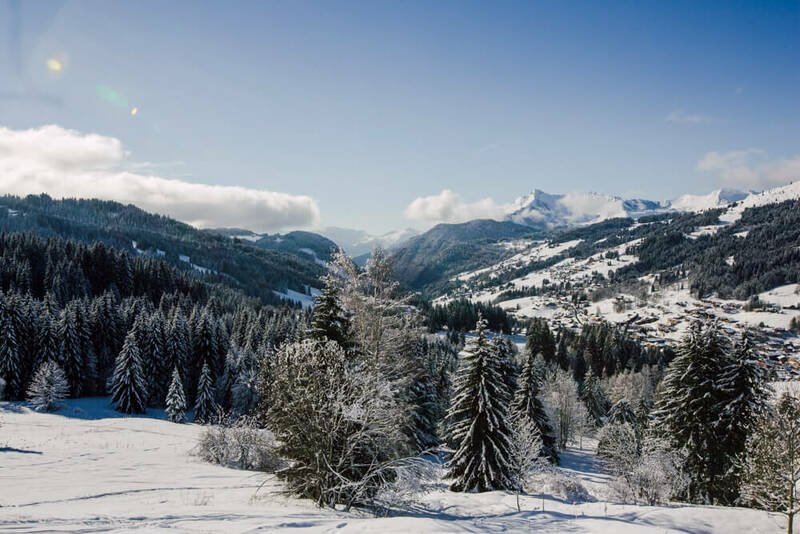 We were in the picturesque town of Les Gets for the day, photographing chalets for a local company to use on their website. 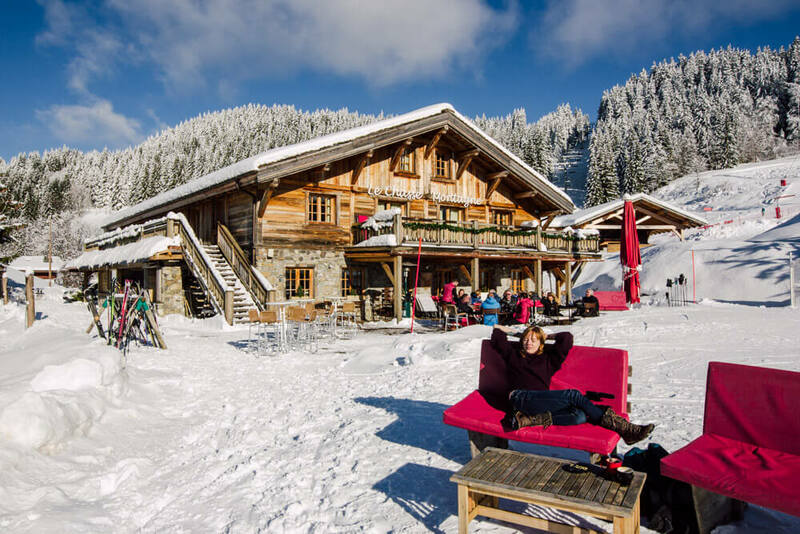 We decided to take a break for coffee and to enjoy the mid-winter sunshine and blue skies. 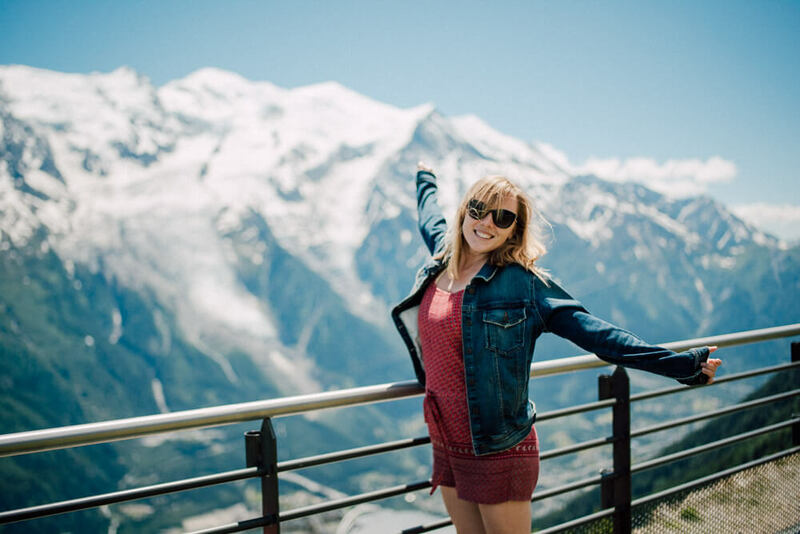 The owner of the chalet recommended we try a nearby restaurant called ‘La Chasse Montagne’, located high above the town in an area called Les Chavannes. 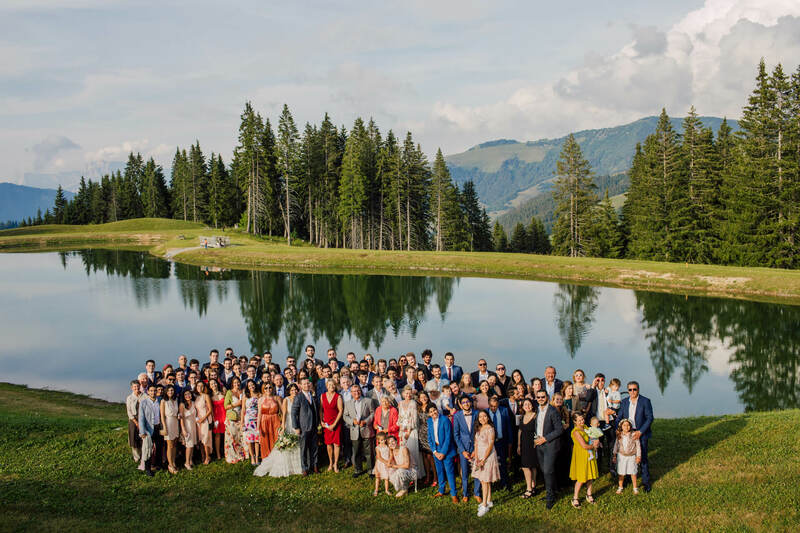 An hour later, sitting in a deckchair on their sun-drenched terrace with miles of snowy mountain scenery reaching down the valley, we realised this would be the perfect place to host an Alpine wedding. Determined to find out more, we spoke to the owner, Mark, who told us they have held many weddings and events here in the past. The restaurant building was originally an old farm, but Mark saw its potential and it was completely renovated before opening in 2005. Mark kindly gave us a tour of the restaurant and rooms, which were renovated again just three years ago. 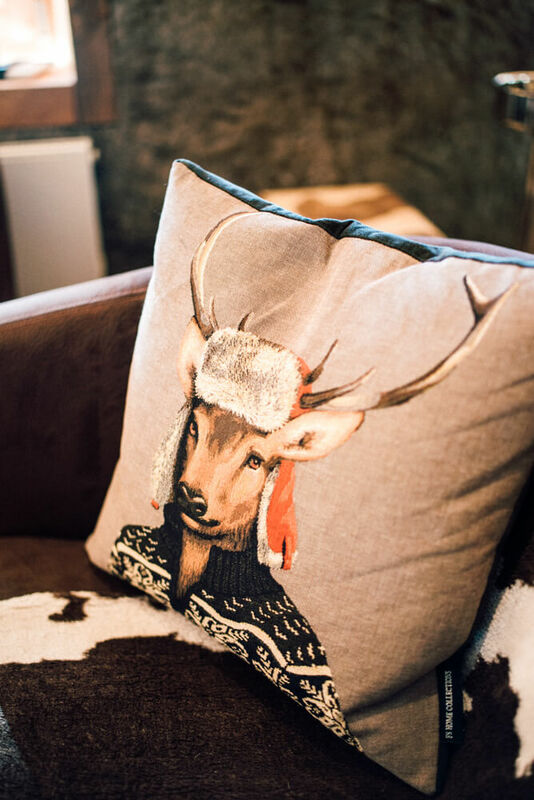 Inside the decor is a blend of traditional elements with stylish, modern touches, which gives that cosy, rustic feel you expect in the French Alps. 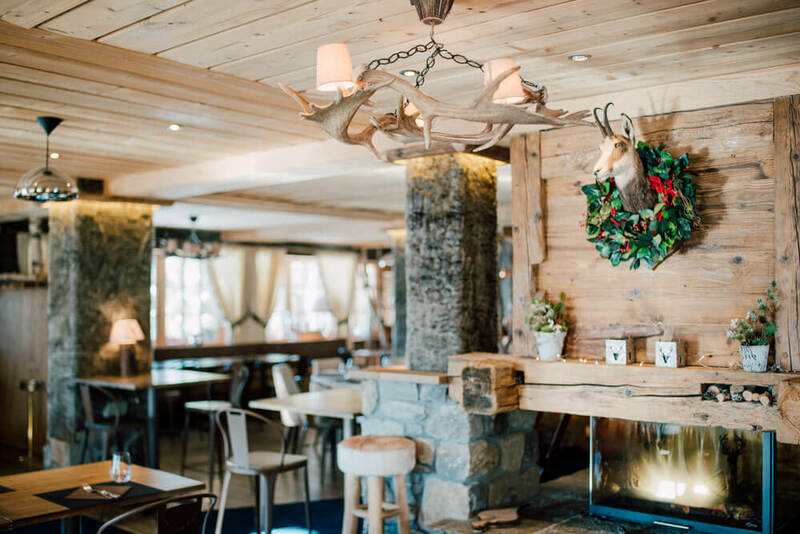 The restaurant serves up all the Savoyard favourites including raclette and fondue, although if you don’t want to stick with traditional cuisine Mark says they are keen to offer a variety of delicious artfully prepared meals. 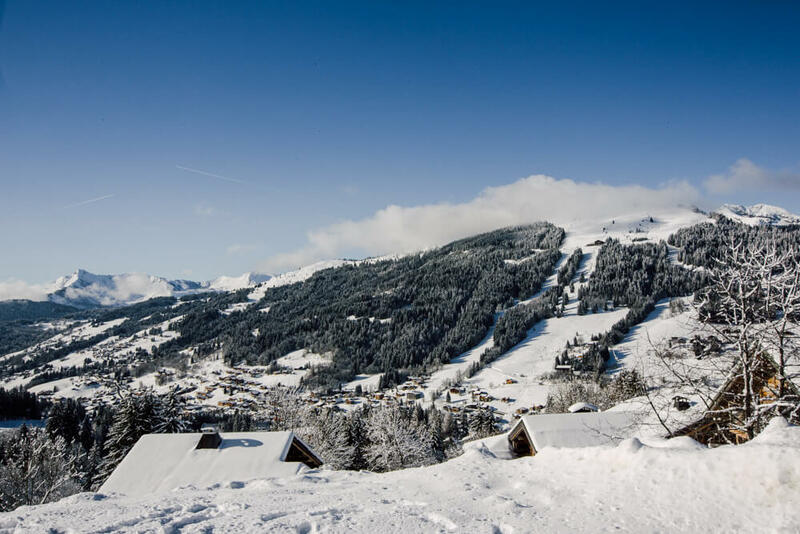 Les Gets is a popular ski and mountain biking resort, a short drive from Morzine and an hour from Geneva airport. 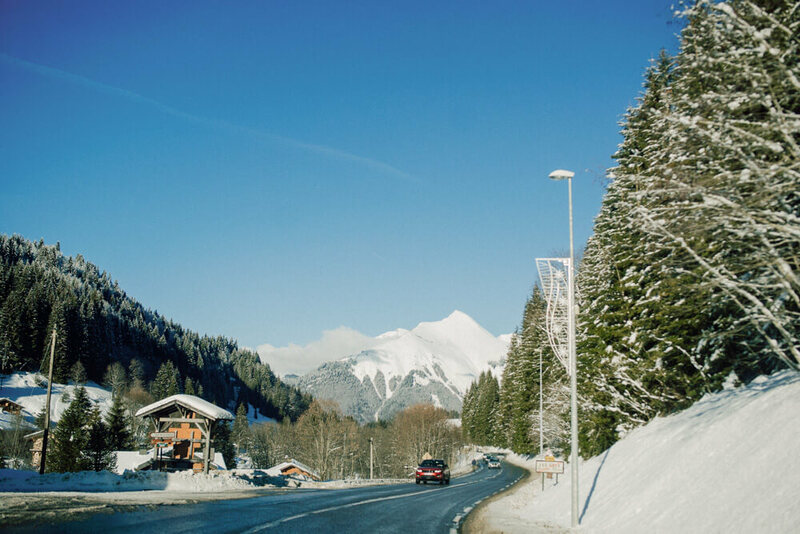 The restaurant itself is easy to access from the town: “One very good thing about us being here is that everybody can meet in one point – by ski or by car, and we have a bus stop very close by”, Mark tells us. 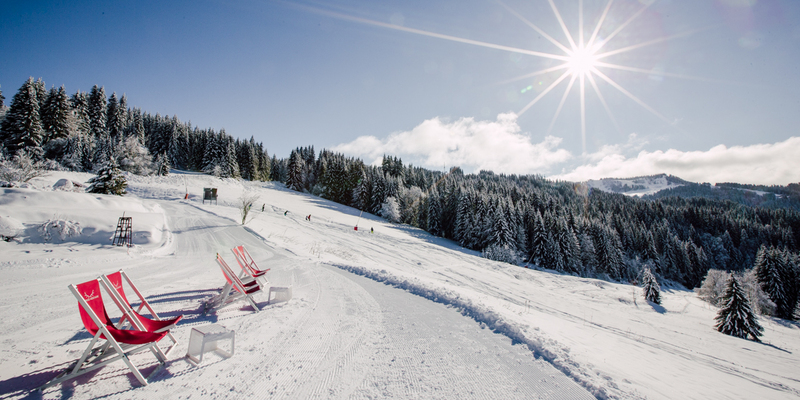 At an altitude of 1360m above sea level, the venue gets plenty of snow in winter. 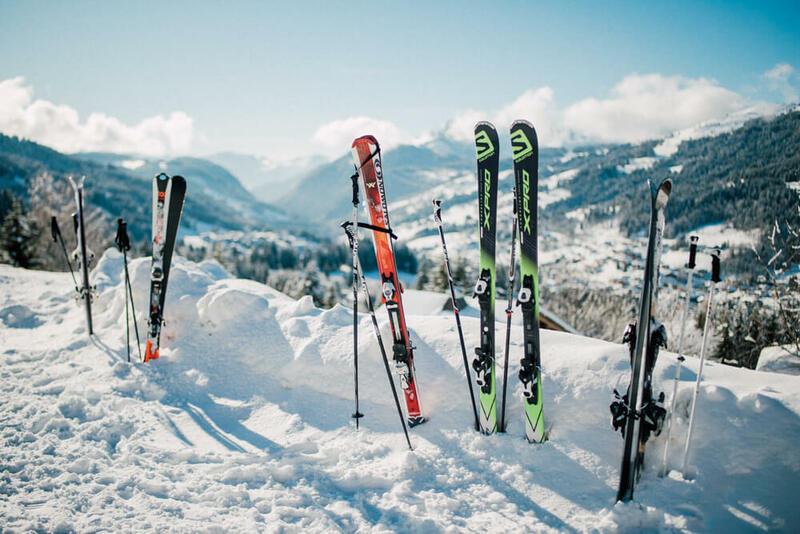 You can even ski directly down to the restaurant, making it a popular après-ski venue. 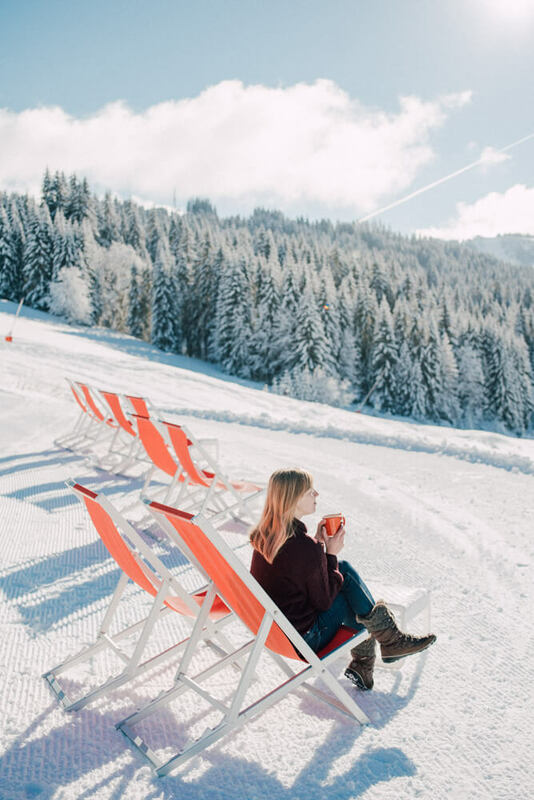 In summer you have the golf course, chairlifts going to the Portes Du Soleil [ski and mountain biking area], the terrace which can accommodate more than 100 people! As well as the restaurant, there are 11 bedrooms that can sleep up to 40 people. 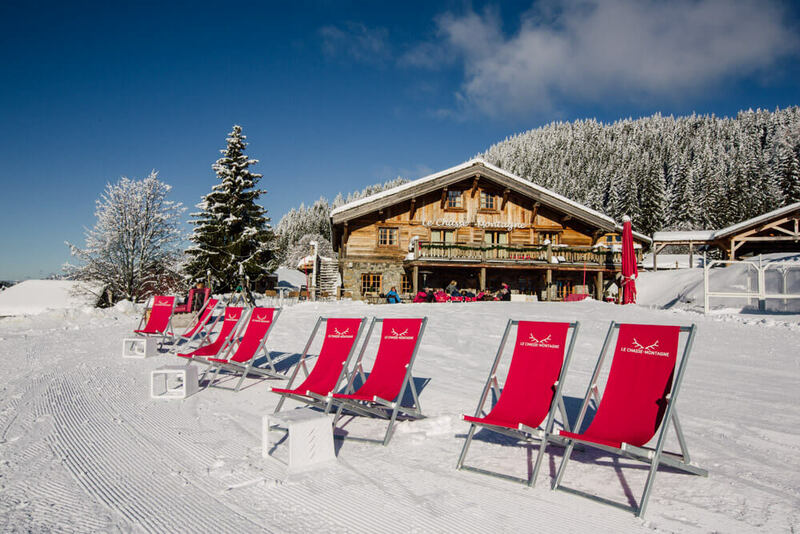 If you need to accommodate more guests, there are several chalets to hire within a short distance or you can stay in one of Les Gets’ many hotels. 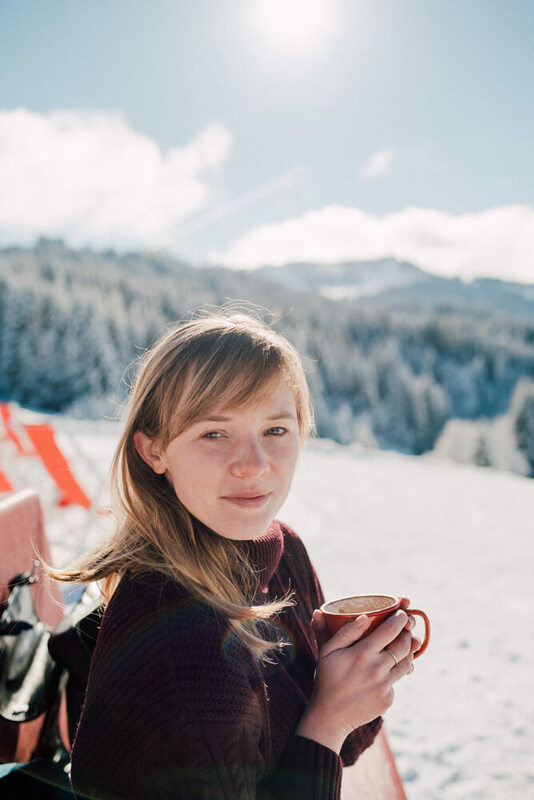 If (like us) you experience some typical Alpine weather on your big day, the building does have space for around 70 guests inside and they can also put marquees up outside. 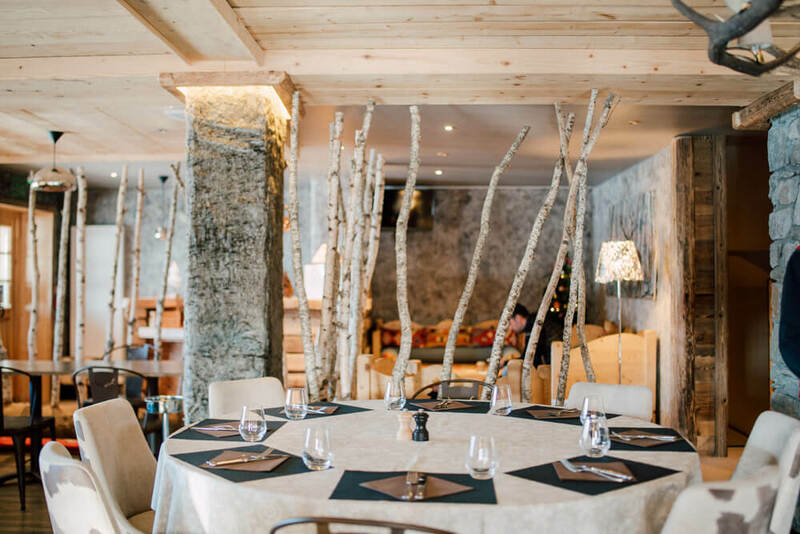 The restaurant is open from mid-December to mid-April for the ski season, and from mid-June until mid-September for the summer season. 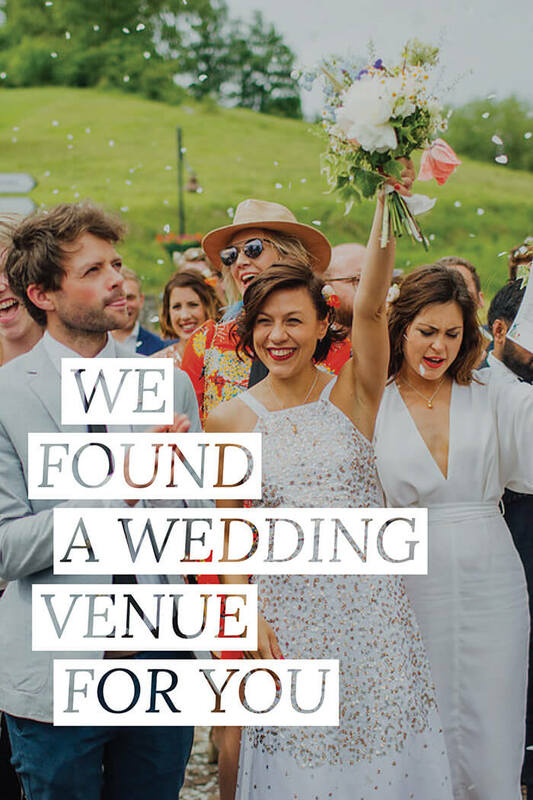 If all of this isn’t reason enough to hold your wedding here, Mark tells us that wedding parties of 60-100 people in size won’t be charged to hire the venue. 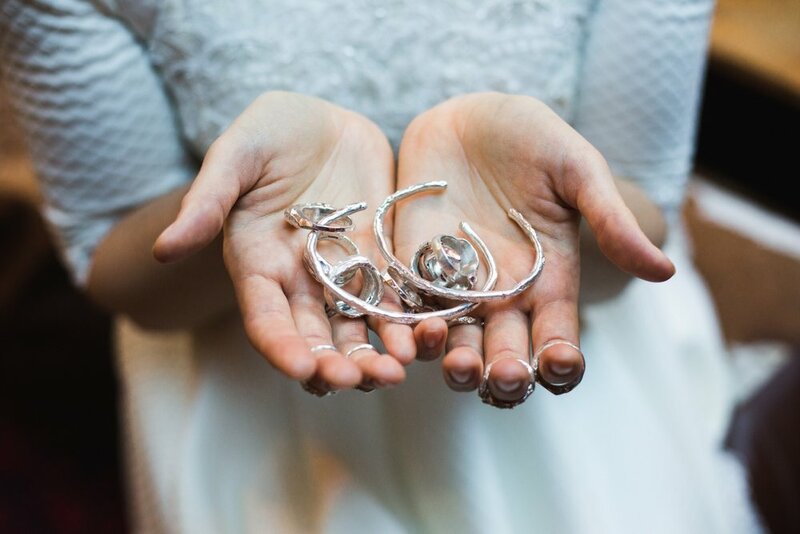 We’re really pleased to have discovered this hidden gem to share with you all! 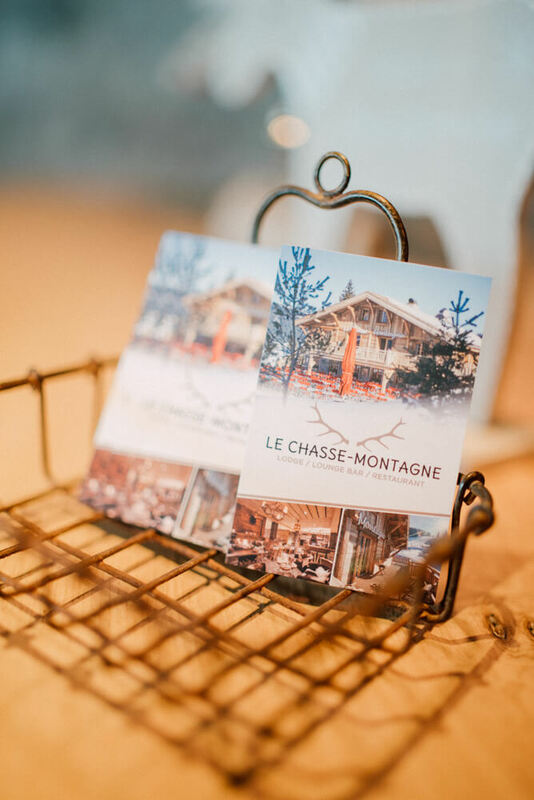 Watch the video of our visit to La Chasse Montagne to see the full interview with Mark and explore the venue. 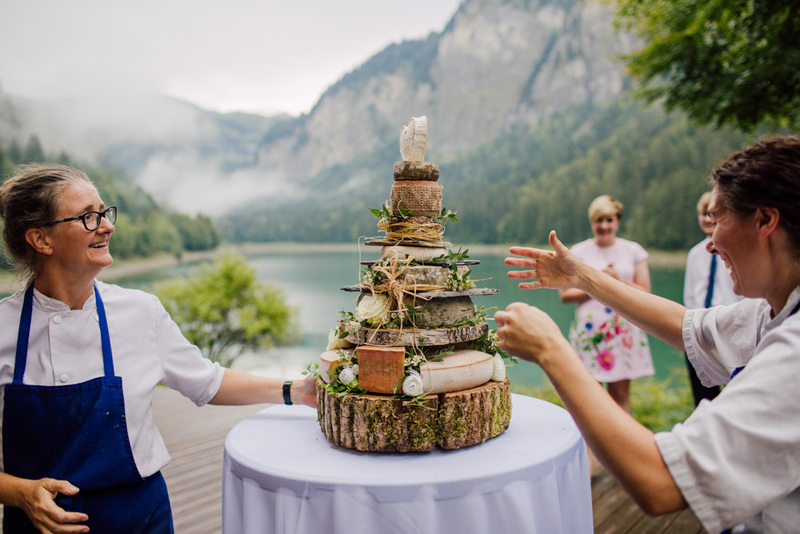 Don’t forget to subscribe to our Youtube channel for more venues, tips and inspiration to help you plan your wedding here in the Alps.